and lift my emotions up higher. Change the strength of my will. Release my mind from anything that hinders clear, wise thinking. Remind me to think upon godly things. Stabilize my emotions and draw my emotions upward. Help me to resist destructive emotions. Heal my body of every attack against it. Strengthen and energize my body. Monitor and regulate my blood pressure, heart rate, hormones and all my body functions so that they are perfect in your sight. Thank you for bringing your miracles to my mind, my emotions, and my body. 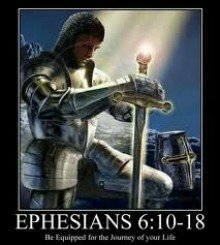 The MIGHTY Armor of GOD! Thank you for my POWERFUL Armor. I will enthusiastically put it on this day. Thank you, Lord, for my eternal salvation. Today I am asking you to save me from sickness, weakness, and every malfunction in my body. 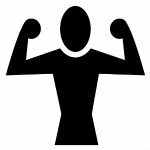 Today I am asking for your SAVING POWER to OVERPOWER and DEFEAT everything that is coming against my good health. Thank you for this Breastplate of your Protection. Thank you for this Breastplate of Purity and Rightness. I ask for purity and right functioning for my body. Thank you for everything you are doing to cleanse my body and to protect my body from hurt and harm. Give me wisdom and guide me, so that I can cooperate with you by making right choices for my body. Your Word tells me that you are my Creator. Psalm 139 tells me that my body is fearfully and wonderfully made. When you created me, you gave me a body that is designed to VICTORIOUSLY fight sicknesses and weaknesses and diseases and malfunction. Your Word tells me that you are my Healer. Your Word tells me that healing and strength come from you and from your Word. Jeremiah 17:14 says, "Heal me, O Lord, and I shall be healed; save me and I shall be saved: for thou art my praise." 1 Peter 2:24 says that we are healed through the stripes of Jesus. Thank you that you created me to walk in abundant health. Guide my steps toward good health. Show me how to cooperate with you in taking good care of my body. I pick up FAITH in the GOODNESS of God and in the POWER of PRAYER. I pick up the Shield of Assurance that your Word is true, and I can stand on it! 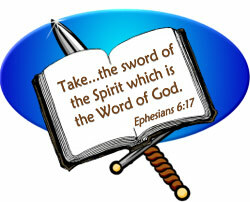 I pick up the Sword of the Spirit which is the Word of God. Proverbs 4:20-22 tells me that your WORD is designed to bring me life and health. 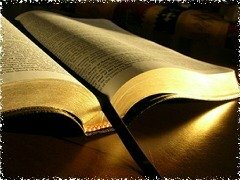 Your Word is designed to be read and re-read. It is designed to be spoken out-loud. It is designed to be the foundation of my life. I pick up the POWER that you have placed in your Word. I will speak out your POWER, and I will experience newness of life. I will move MIGHTILY through this day. I will start having AMAZING days, because I am learning to walk in your AMAZING POWER. like a Champion for Christ! Note we cannot guarantee your healing. a partial or complete healing. shall be as bright as day. just as your soul prospers. This page is part of our Champion Series. We have lots more healing pages. Prayers for Healing and Strength was posted February 2017. Prayers for Healing and Strength is part of our 2017 Champion Series.